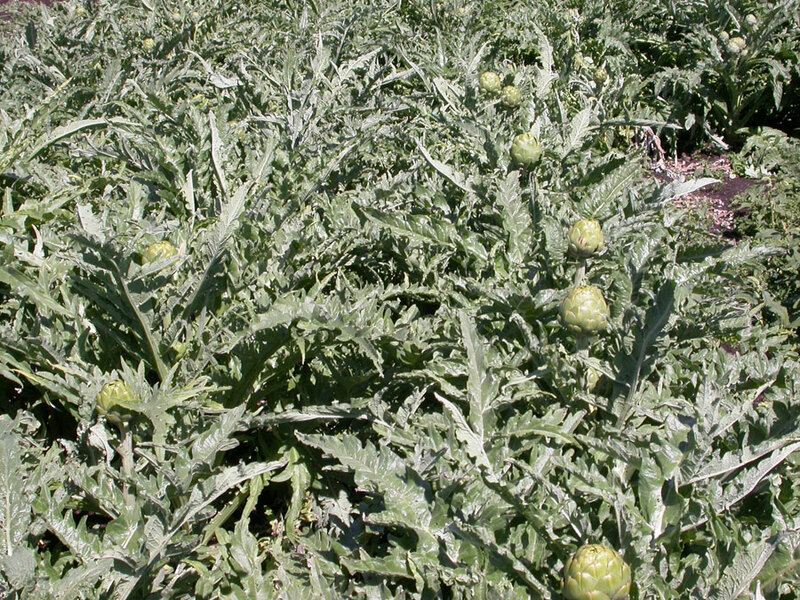 Latin Name: Cynara scolymus L.
Overwintering of artichoke plants may be possible with winter protection in the warmest zones of Ontario, but this may not be commercially viable. 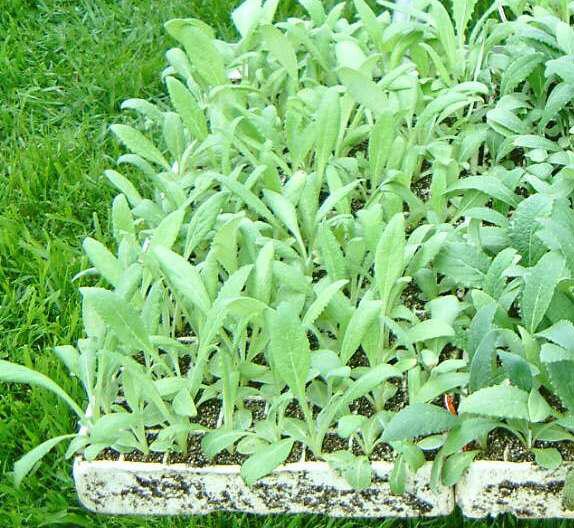 Globe artichokes require a vernalization (cold) period as a young transplant in order to develop flower buds. The required length of vernalization depends on the cultivar with Green Globe and Imperial Star requiring the shortest vernalization period (80% vernalization after 200 hours at or below 10°C). Production of some cultivars is not possible commercially in Ontario due to extended vernalization requirements. Transplants are typically grown for four weeks in the greenhouse, placed in a cooler at 10°C for 10 to 14 days under artificial lights and then transplanted into the field. Direct transplanting into the field in early spring can result in natural vernalization, but only if weather conditions are cool enough during this period. Treatment of transplants or young plants in the field with gibberellic acid has been used to increase bud development and/or replace vernalization, but more research is required on this technique in Ontario. April-May (un-vernalized transplants); April – June (vernalized transplants). No current Ontario fertility recommendations exist. Research and recommendations from outside Ontario do not necessarily apply to Ontario growing conditions. In Oregon, 110-220 kg/ha of nitrogen is recommended with 25% applied preplant and 75% applied 6 weeks later. Click here for phosphorus and potassium application guidelines and for more information on specialty crop fertility. 18-24°C; Consistently higher temperatures and/or periodic temperatures >30°C will reduce productivity or can prevent flower bud development entirely. Globe artichokes are best grown close to the Great Lakes or in cooler areas of Ontario. Irrigation required under normal Ontario conditions. Multiple harvests from the same planting. No established grades in Canada, but artichokes are typically marketed by size according to how many fit into a standard case. 18s >11.4cm diameter, 24s = 10.0-11.4cm, 36s = 8.9-10.0cm, 48s = 7.6-8.9cm, 60s = 6.9-7.6cm and small loose < 7.6 cm. 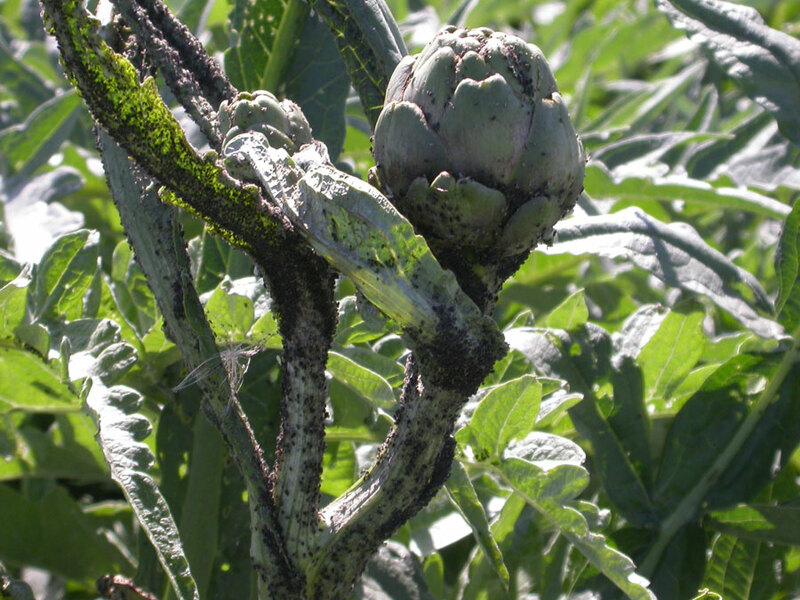 Artichoke buds should be collected when they stop enlarging and the lower bracts begin to separate. Cultivars vary in appearance at this stage, and some experience is required. 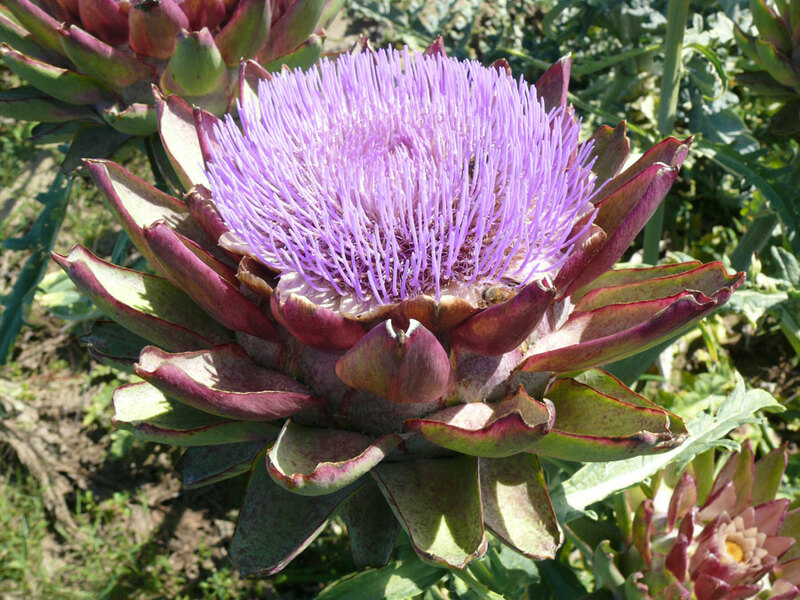 Artichoke flowers can also be harvested as a cut flower when the flowers are fully open. Other Potential Pests: The following pests have not been observed on this crop in Ontario. However, they are either significant concerns for closely related plants in Ontario, or are reported on this crop in other production areas. This is not a comprehensive list of all potential pests. Not all of these pests will necessarily survive Ontario’s climate, but could potentially survive in a protected environment (e.g. greenhouse, storage facility). *Indicates pests commonly mentioned as causing significant damage or economic loss to this crop in other regions. To date the following pests have been the most significant in Ontario: aphids. This crop is not in a crop group. There are few to no products registered for this crop in Canada. For more information on Crop Groups, refer to the Pest section. Always refer to product labels, and follow all directions specified on the label, before applying any pest control product. For more information, consult an OMAFRA specialist. Elford, E., Filotas, M., Todd, J., and S. Westerveld. 2009. Non-traditional crops demonstration garden. OMAFRA Simcoe Resource Centre, unpublished. McKeown, A.W., McDonald, M.R., Bakker, C.J., Vander Kooi, K. and M. Columbus. 2004. 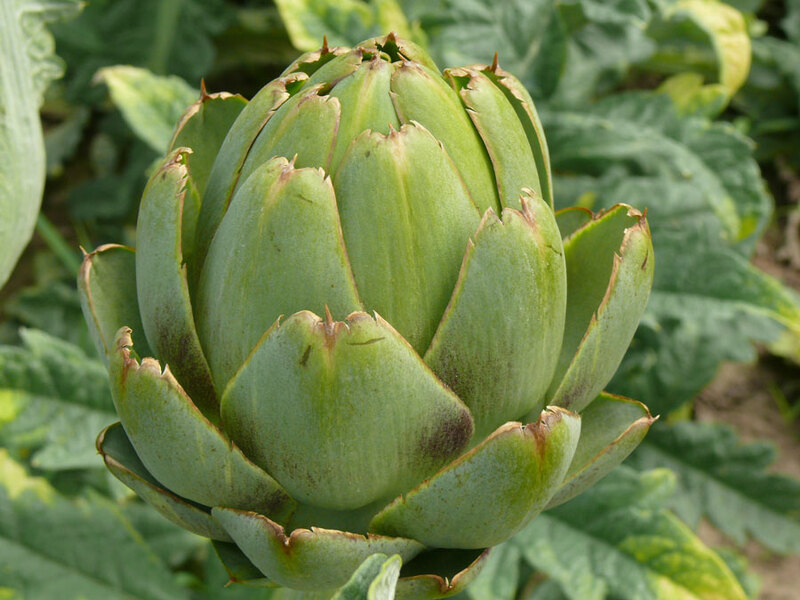 Globe artichokes: a potential crop for diversification of horticultural production in Ontario. Report 37, Simcoe Research Station, Department of Plant Agriculture, University of Guelph. Oregon State University. 2002. Globe artichoke. Commercial Vegetable Production Guides. Rinehold, J., Bell, N., Waters, T., McGrath, D. and C. Hollingsworth. 2011. Vegetable pests. In: C. Hollingsworth (ed.). Pacific northwest insect management handbook. Integrated Plant Protection Center, Oregon State University.